The stunning sequel to Vicious, from The New York Times bestselling author of A Darker Shade of Magic. 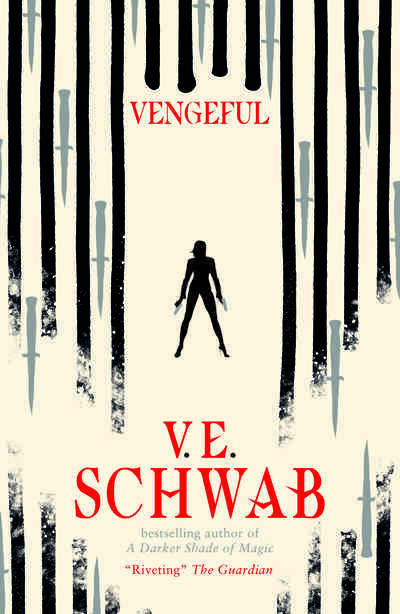 A super-powered collision of extraordinary minds and vengeful intentions — V. E. Schwab returns with the thrilling follow-up to Vicious. Magneto and Professor X. Superman and Lex Luthor. Victor Vale and Eli Ever. Sydney and Serena Clarke. Great partnerships, now soured on the vine. But Marcella Riggins needs no one. Flush from her brush with death, she's finally gained the control she's always sought-and will use her newfound power to bring the city of Merit to its knees. She'll do whatever it takes, collecting her own sidekicks, and leveraging the two most infamous EOs, Victor Vale and Eli Ever, against each other once more. With Marcella's rise, new enmities create opportunity-and the stage of Merit City will once again be set for a final, terrible reckoning.